I had these great plans for Halloween in my head. 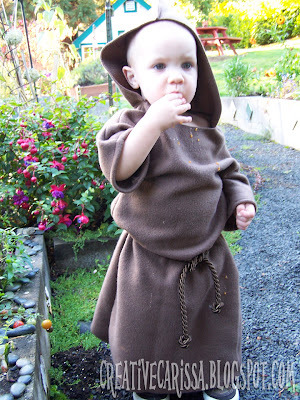 Fancy costumes for our whole family including hand-sewn retro style dress for me. Fabulous! Until it was 3 days before Halloween and I had neither time nor a Halloween costume budget. Snap! What to do? 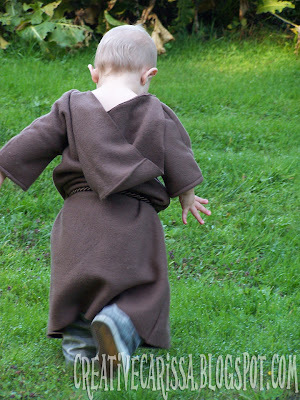 When I was talking through my conundrum with my husband he suggested we make K a monk. And while it sounds like an odd choice, our son does have a physique to pull it off....a cute little toddler belly and so little hair on the top of his head that he almost looks bald. It also has the added geeky appeal of it doubling as a "Reformation Day" costume (Luther is one of my husband's favorite movies. Ever.). 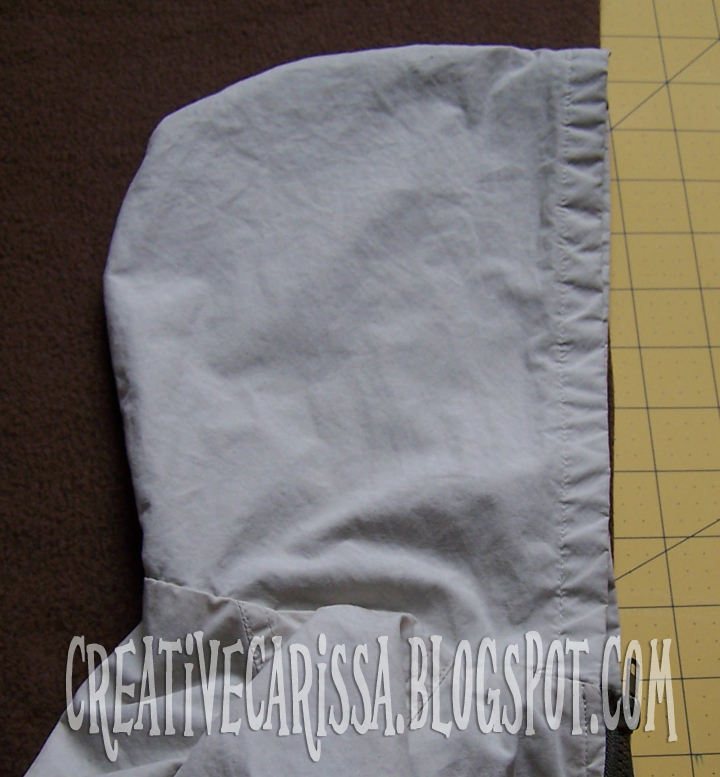 1) Lay out your material, folded in half (the way it came off the bolt). Grab a long sleeve shirt and a pair of loose fitting long pants that currently fit your child and lay them out on top of the fabric. 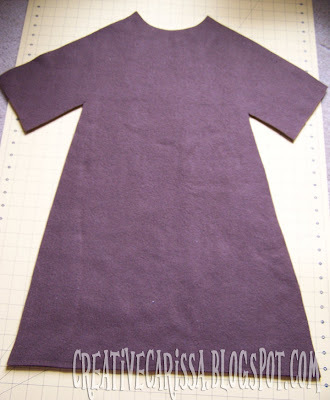 2) Cut around the outline of the clothes. 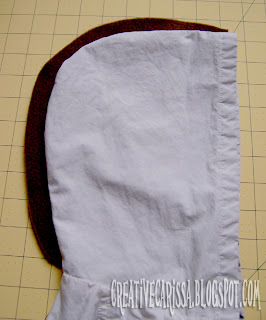 Give yourself about 1/2 inch allowance along the upper edge of the sleeves. Cut the cuff-end of the sleeve to end where the shirt sleeve ends. 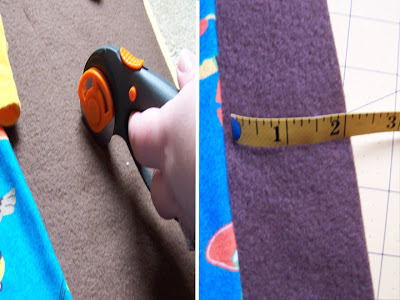 For the bottom edge of the sleeves and along the sides, give your self a 2 inch buffer. 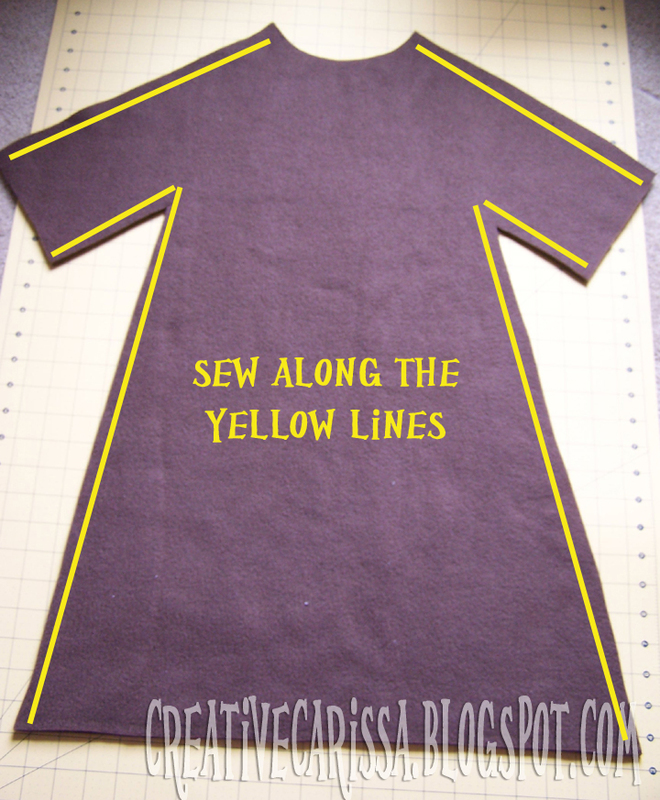 Thread your machine with matching brown thread and set your machine to do a long, straight stitch. 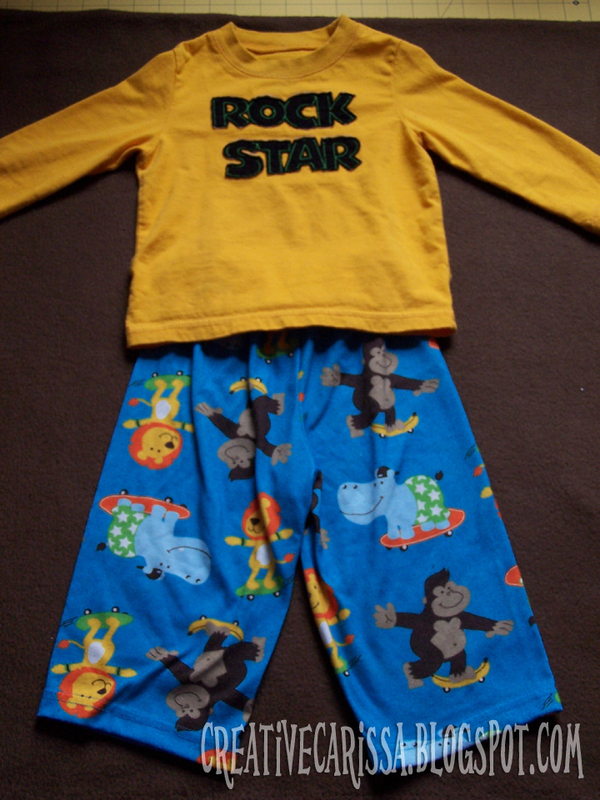 Next, you'll want to decide which side of the fabric you would like to have facing out as your child wears it. 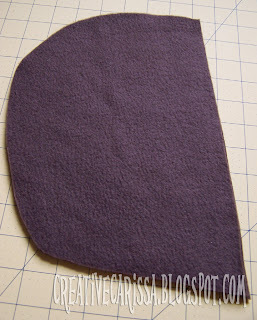 My fleece had a fuzzy side (usually considered the right side) and a flat, boring side (usually considered the back side). 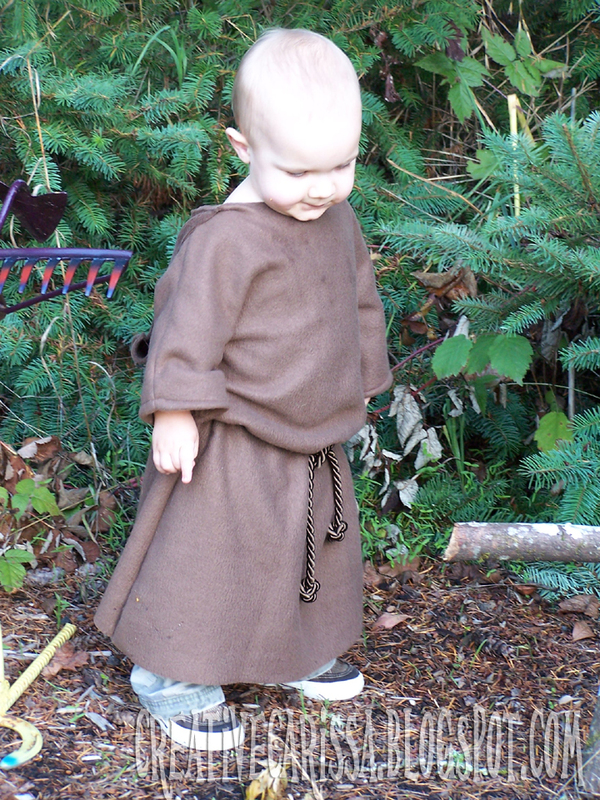 I wanted my monk to look plain, so I chose to have the boring side out and the snuggly, fuzzy side in. Decide which side you would prefer to having showing and proceed. 1) With (what you have decided will be) the right sides together, sew the body pieces as marked with the yellow lines. Now, turn the body right-sides out so the seams are inside. optional: You may choose to hem the cuff ends of the sleeves and the hem if you would like. I chose to hem just the sleeve and leave the hem raw. Turn the hood right-side out. 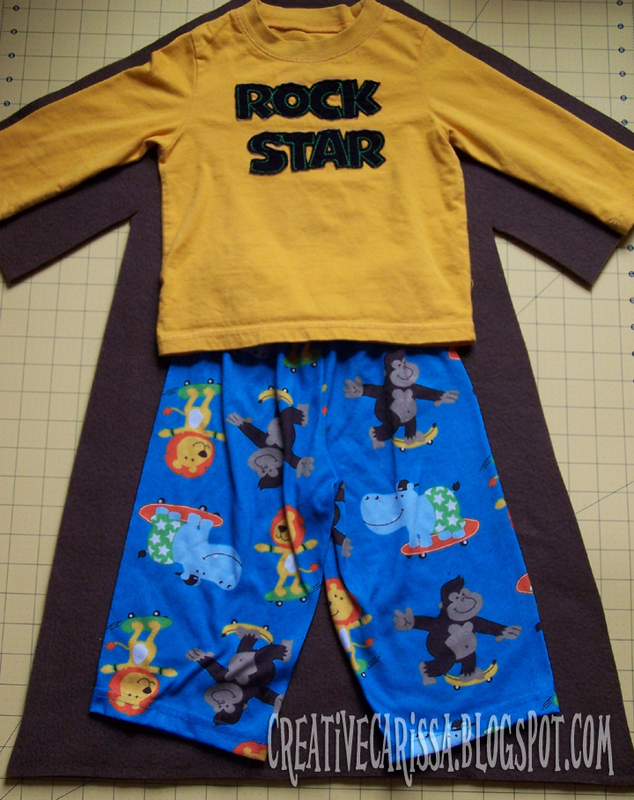 optional: The raw part of the seam will be inside the hood BUT if the hood is hanging and not on your child's head, you will see the raw seam. Decide if this bothers you. If it bothers you (it bothered me), with the raw seam turned inside the hood now (right side of the fabric facing out) sew along the same edge with a 1/4 inch seam allowance. This will contain the raw seam. Again, this is optional. 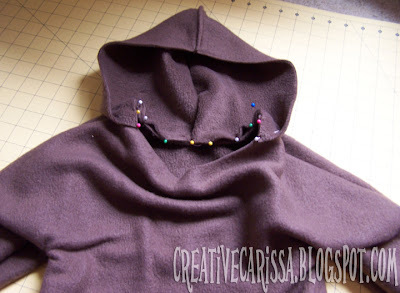 3) Attach the hood to the neckline by first inserting a pin to mark the center, back of the neck. Then lay the hood on the body, lining up the center hood seam with the pin. 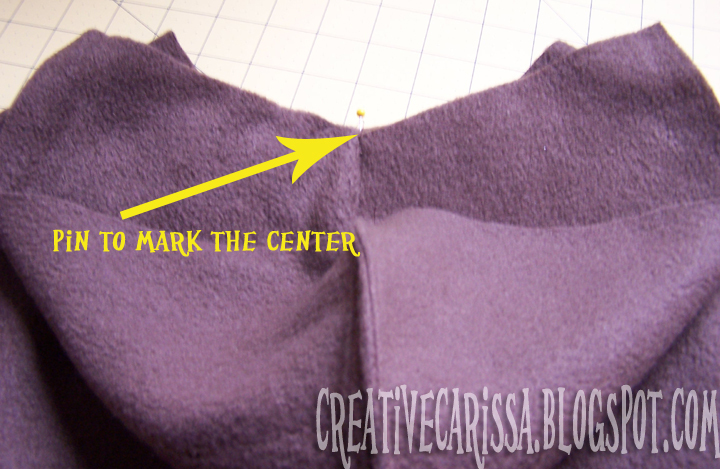 Moving from the center seam out, pin the hood to the body. With a 1/4 inch seam allowance, sew the hood to the body, removing the pins as you go. 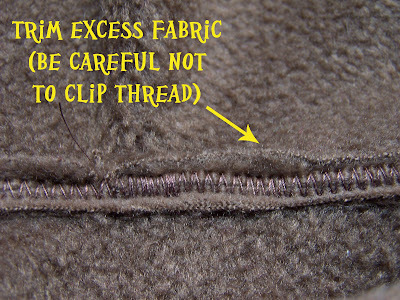 optional: If the raw nature of this seam bothers you (it bothered me...apparently I'm neurotic), you can stitch down the inside of the raw seam with a wide zig zag stitch. 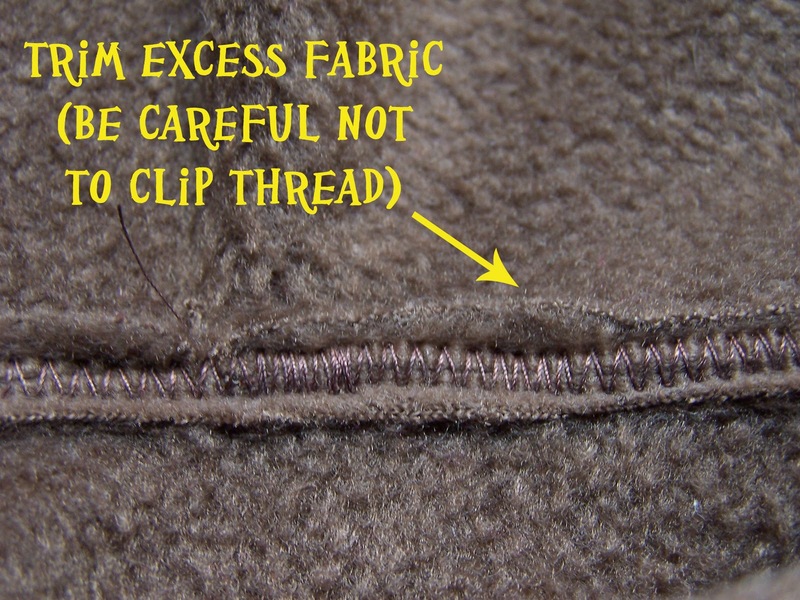 Once you have stitched the seam open with the zig zag, you can trim any excess raw edges, being careful not to clip the threads. Slip the little robe on your kiddo. 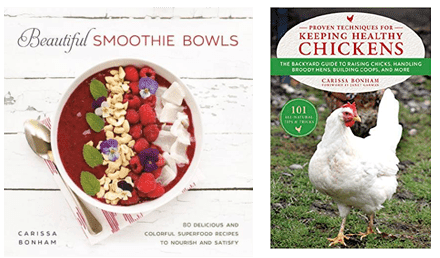 Don't they look snuggly and warm? 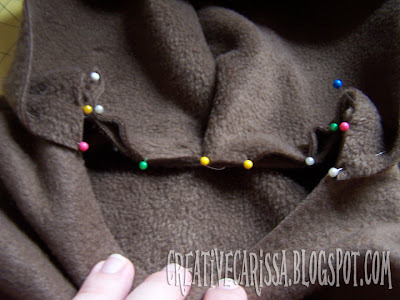 Tie a knot in each end of the upholstery cord you chose to use for a belt and wrap it around their waist. That's it! 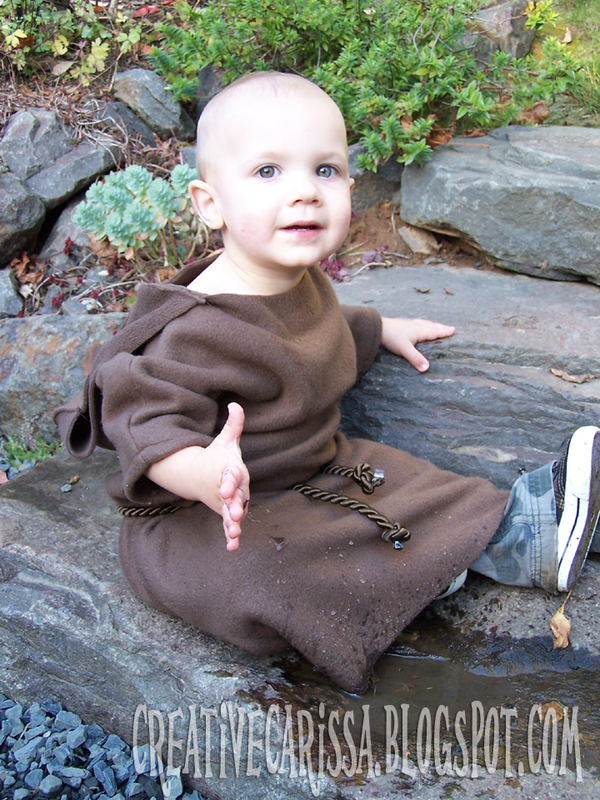 Enjoy your cute little monk! I have been searching for a bathrobe pattern for my grandson, and not having much luck. 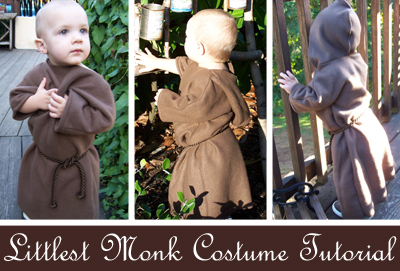 Today the work "monk" popped into my head, and yours was the first that came up! . 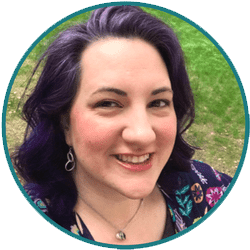 Thanks so much for posting !